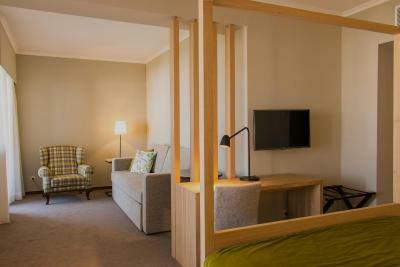 Lock in a great price for Evora Hotel – rated 8.1 by recent guests! The staff is very friendly and the hotel is comfortable and clean. Great food and wine. Good breakfast. Nice rooms with a balcony. Not near the Evora historical center, but with a car it's only a six minute drive to many huge free parking lots just outside the walled city. 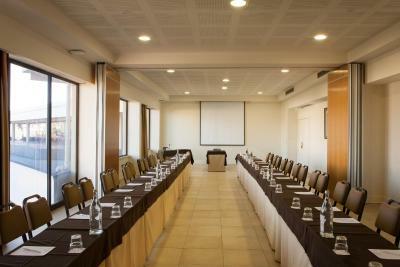 This is a large modern hotel with conference space. Good option for families. There are many activities for kids. Great breakfast. Loved the two pools. Felt like a resort even though it was just outside the city walls. Very relaxing environment. Great location in Evora. Good facilities plenty to do as a couple and a large family with friends. plenty of parking. The rooms where average, but clean and comfortable. The reception staff helpful and friendly so was the restaurant. Huge swimming pool. Great place to relax. Healthy choice and vegan food restaurant!!! Hotel has it's own stop for Évora hop on hop off bus. Friendly staff, great pool area. Dinner buffet was usually excellent. Having the small balcony was nice to get some fresh area and the room size is larger than many in Evora. Gym has a great selection of equipment but costs an extra 4 EUR per visit. Very friendly service, amazing breakfast, lovely hotel. Evora Hotel This rating is a reflection of how the property compares to the industry standard when it comes to price, facilities and services available. It's based on a self-evaluation by the property. Use this rating to help choose your stay! In addition to 2 outdoor pools, the Evora Hotel is surrounded by landscaped grounds and offers a heated indoor pool and health club on the edge of Évora, along the N114. All guest rooms have a private balcony. In addition to the traditional Sol Poente, the Evora also has the Lounge Natural Living restaurant which serves a variety of light meals with natural ingredients. The bar has refreshing drinks and snacks. 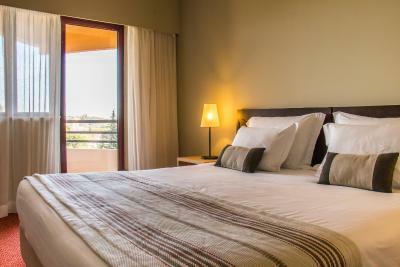 The guest rooms of Evora have views of the Alentejo plains, hotel grounds or pool area. They come with a minibar and satellite TV. After a work-out in the gym, guests can relax in the hot tub or sauna. Babysitting services are available upon request. There are also various spa treatments and massages. Golfers can use Évora's driving range. Evora Hotel is a 5-minute drive from Évora's city center. Évora's train station is a 10-minute drive away and offers a direct, 2-hour connection to Lisbon. 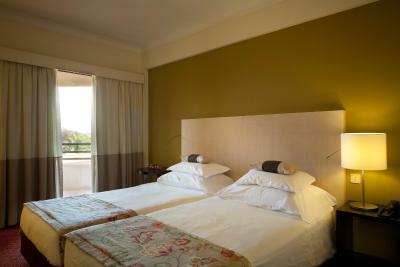 When would you like to stay at Evora Hotel? It features a satellite TV, minibar and a private bathroom with a bathtub, shower and a hairdryer. This is a large room with a living area. Please note that the rate is based on 2 adults and 2 children under 12. Children are accommodated in extra beds. This air-conditioned room has a balcony. It features a satellite TV, mini-bar and a private bathroom with a bath, shower and a hairdryer. 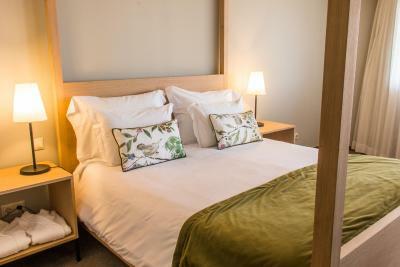 It has a double bed or 2 single beds, and one extra bed for a child up 12 years old. - Visit to a Wine Cellar with wine tasting (transportation not included). Possible wine cellars: Adega Mayor, Carmin, Comda Grande, Ervideira, Herdade da Mingorra, Herdade do Esporão, Herdade do Sobroso, João Portugal Ramos, Monte da Ravasquira, Quinta do Quetzal, Lima Mayer. Visits need to be booked in advance with the hotel. - Use of indoor pool, sauna, Turkish bath and hot tub. - Free use of indoor swimming pool, sauna and hot tub. House Rules Evora Hotel takes special requests – add in the next step! Evora Hotel accepts these cards and reserves the right to temporarily hold an amount prior to arrival. Please note that a bathing cap is required for guests using the indoor pool. Caps can be purchased at the hotel. Please note that guests staying at the property have a 50% discount in the Gym. Please note that dinner and lunch service on Christmas and New Year's Day has an added charge. There was a pool table in the lobby/bar. We couldn’t get on till around 11pm, but we’re surprised to be told “there are 2 balls missing, which will be supplied if you pay €6!! Drinks much more expensive than other hotels we’ve used. Good atmosphere in bar and public areas, enjoyed the buffet restaurant meal, and decent breakfast. Softer beds. No laundry, after our son slipped outside near the driving range, and muddied all hi clothes. We were given a free upgrade to a suite. The beds are firm, actually hard. The free Evora card gave us a handy discount and encouraged us to eat in twice - excellent buffet. The bed was a little firm but not unbearable. The buffet dinner was disappointing. The food was ok but we felt it was overpriced for what we got. A bit far from the downtown and the road to the Evora center is of bad quality for walking. Nice service, polite and useful staff, nice swimming pool, comfortable bed, quite reasonable clean room with small balcony. Good breakfast. The room. It was outdated, in need of an improvement. Not a very appealing quality-price ratio. 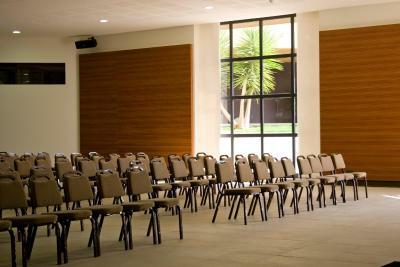 The main hall. It had a resort kind of vibe, very spacious. The sauna wasn't working but we still enjoyed the inside pool. The room on the 3rd floor was noisy (constant low noise from machinery). The indoor pool is used for swimming lessons, so, sometimes it's crowded.. In general the hotel is very nice. Clean and very nice staff. The staff were really attentive and the spa was just so relaxing, very quiet without loads of kids jumping everywhere, although out of season everything was still working very well. Excellent choice of food but hot food was only served warm at breakfast and dinner. Small pool for a Big hotel. The pool is always crowded. Not worth the money. The reception staff could be more gentle. A little far from the old town, very busy at breakfast time.